Due to some recent health issues I am currently grain-free. So a kelp noodle is sounding pretty good to me about now. Plus I have read “kelp noodle” and “life changing” in the same sentence more than a couple of times lately. A sea vegetable in the form in the noodle is big in the food allergy world. Big! The best use of kelp noodles I have seen so far is here from one of my favorite blogs Healthy and Holistic. I am going to be experimenting with them all week. They can be used as a substitute in a regular noodle dish, in salads or added to soups. They don’t need to be cooked. 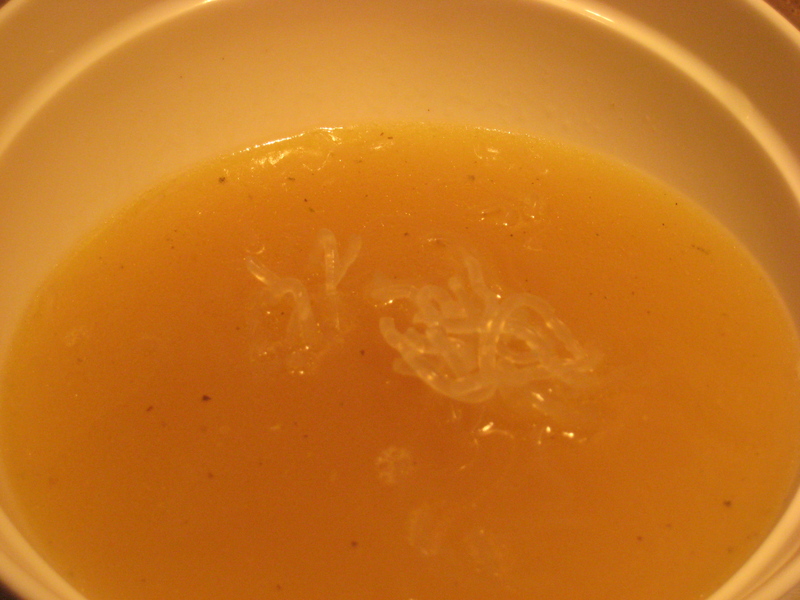 Simmer water, chicken bones, onion, garlic and salt over low heat 2-3 hours. thanks for the shout out Julie! i love love love kelp noodles! fun texture, huh? !